This was a really yummy chicken dinner from Little Spice Jar that I found on Pinterest. I need to make this again, it was good. I plopped it on some angel hair because PASTA. 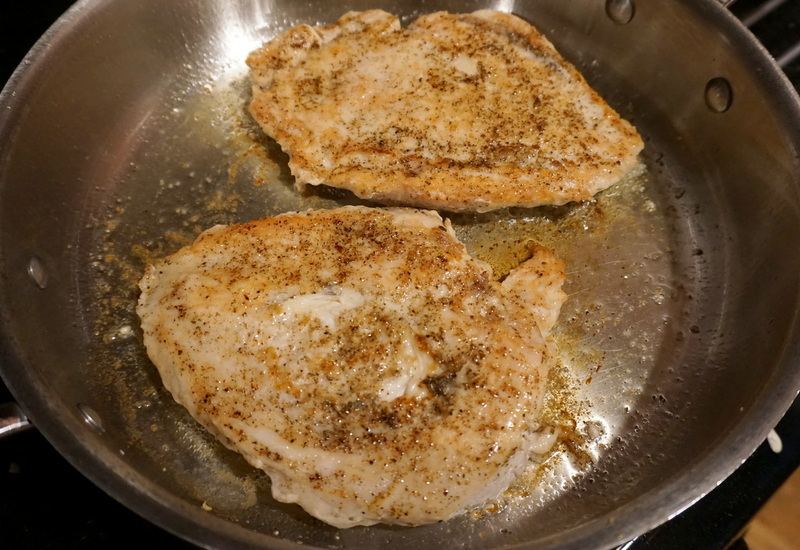 Using a mallet, pound down the chicken breasts/thighs into ½ inch thickness. 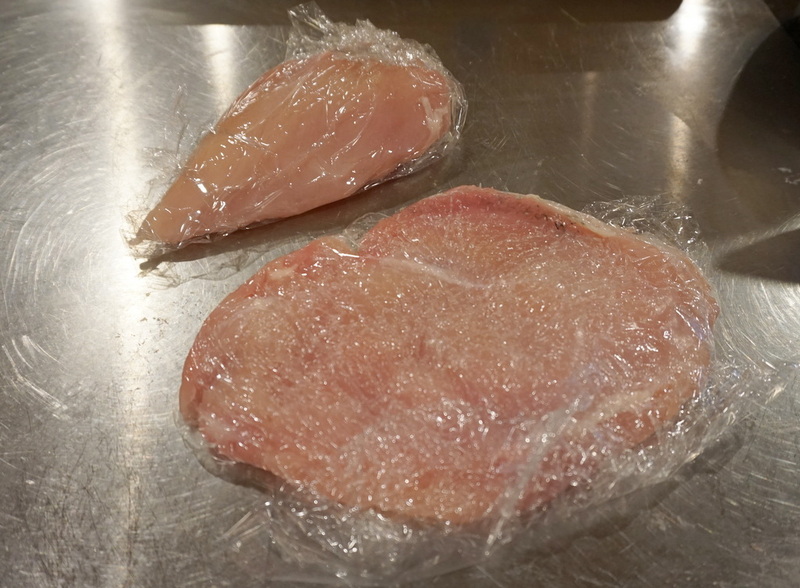 (I like to wrap them in cling film before pounding). Sprinkle a pinch of salt and pepper on both sides of the chicken. 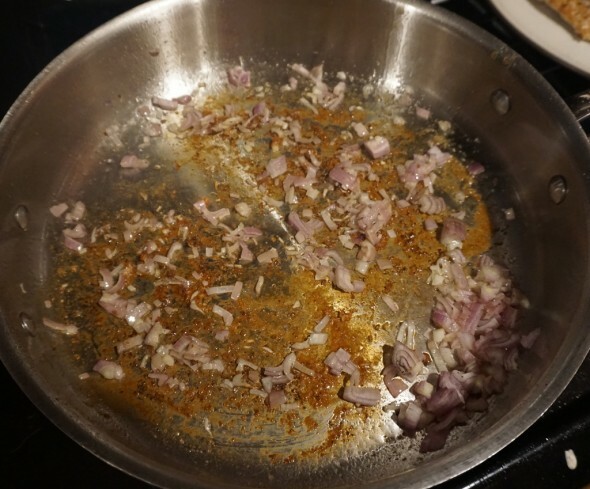 Heat the olive oil in a large oven-safe skillet over medium high heat. Add the chicken and allow to brown on both sides for 2-3 minutes per side. Don’t worry if the chicken isn’t cooked completely. 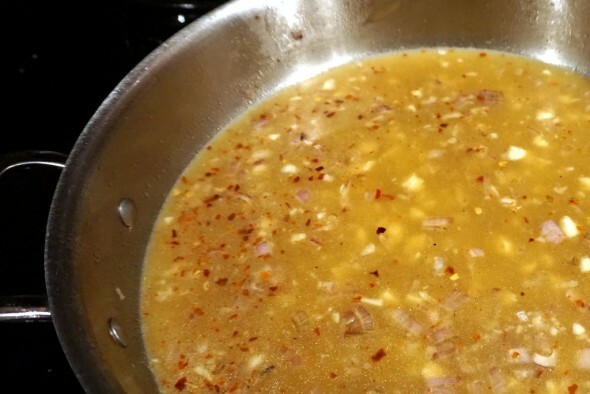 Reduce the flame to medium, add the shallots to the skillet along with the chicken broth mixture. Using a whisk, scrape the bottom of the pan so all the brown bits are loosened. Let sauce reduce for about 8-10 minutes or until about ⅓ cup of the sauce remains. 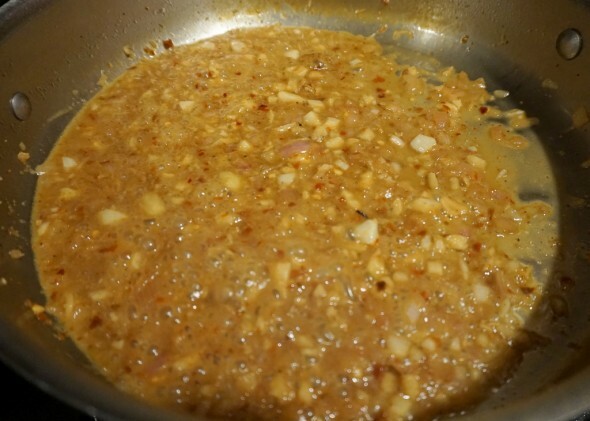 When the sauce has thickened, remove from the flame, add the butter and whisk until it melts completely. 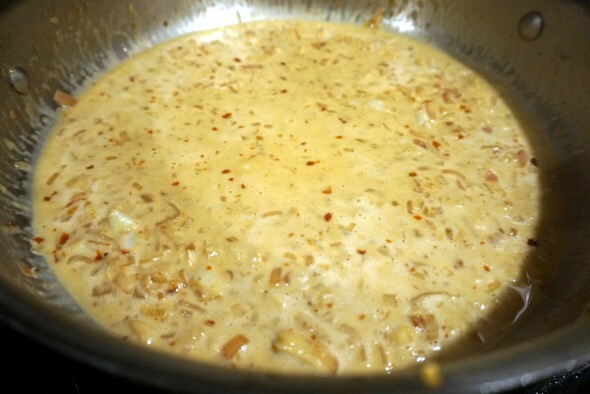 With the skillet off the flame, add the heavy cream, whisk to combine. Place the skillet back over the flame for just 30 seconds, DO NOT allow the sauce to boil. 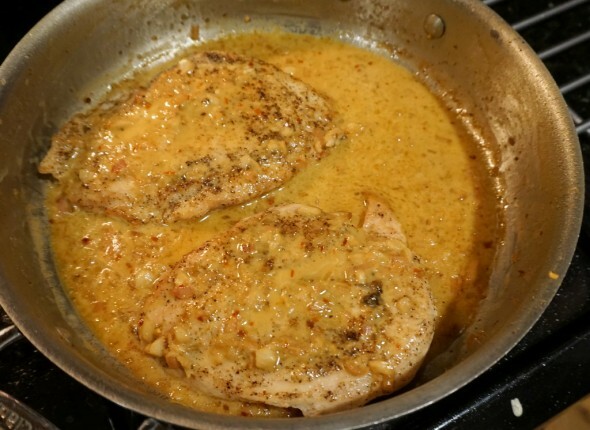 Remove from heat, add the chicken back into the pan and drizzle the sauce over the chicken. 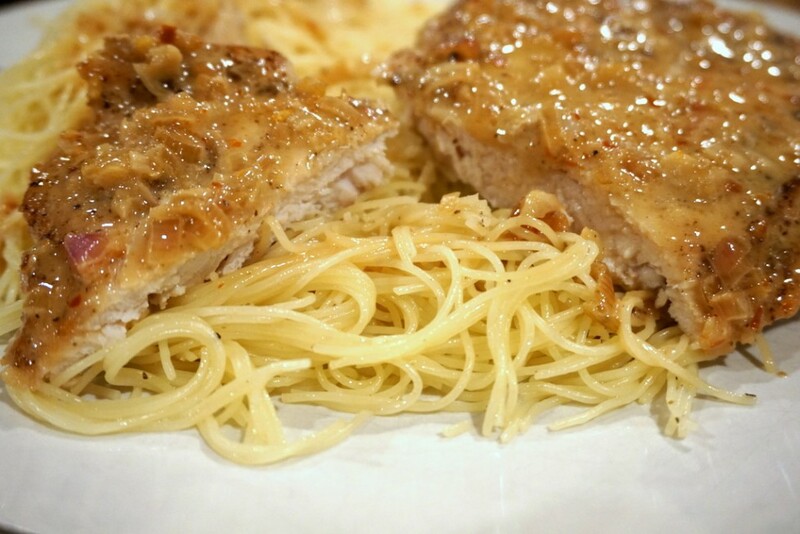 Place the skillet in the oven for 5-8 minutes or until the chicken is completely cooked through.